Building on the foundation of Kingdom through Covenant (Crossway, 2012), Stephen J. Wellum and Brent E. Parker have assembled a team of scholars who offer a fresh perspective regarding the interrelationship between the biblical covenants. Each chapter seeks to demonstrate how the covenants serve as the backbone to the grand narrative of Scripture. For example, New Testament scholar Thomas Schreiner writes on the Sabbath command from the Old Testament and thinks through its applications to new covenant believers. Christopher Cowan wrestles with the warning passages of Scripture, texts which are often viewed by covenant theologians as evidence for a "mixed" view of the church. Jason DeRouchie provides a biblical theology of "seed" and demonstrates that the covenantal view is incorrect in some of its conclusions. Jason Meyer thinks through the role of law in both the old and new covenants. John Meade unpacks circumcision in the OT and how it is applied in the NT, providing further warrant to reject covenant theology's link of circumcision with (infant) baptism. Oren Martin tackles the issue of Israel and land over against a dispensational reading, and Richard Lucas offers an exegetical analysis of Romans 9-11, arguing that it does not require a dispensational understanding. From issues of ecclesiology to the warning passages in Hebrews, this book carefully navigates a mediating path between the dominant theological systems of covenant theology and dispensationalism to offer the reader a better way to understand Gods one plan of redemption. 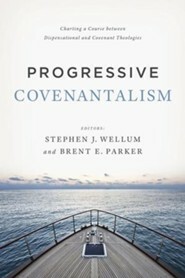 I'm the author/artist and I want to review Progressive Covenantalism: Charting a Course between Dispensational and Covenantal Theologies - eBook.